white can inspire a modern look for your home! of orange adds sophistication to this room. 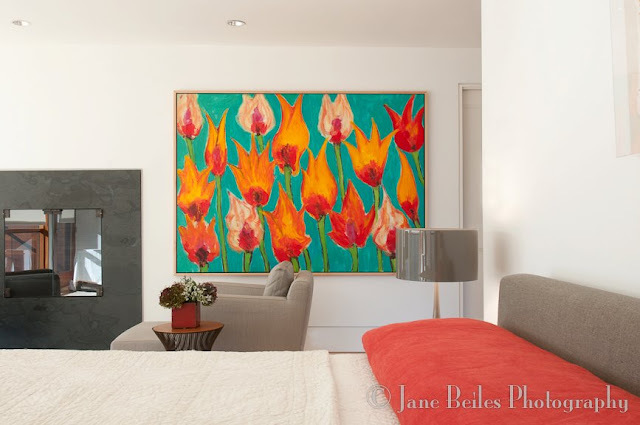 in this room through artwork and fabric on the couch. The contrast of white and orange is quite powerful. I love this planar use of color on the ceiling! 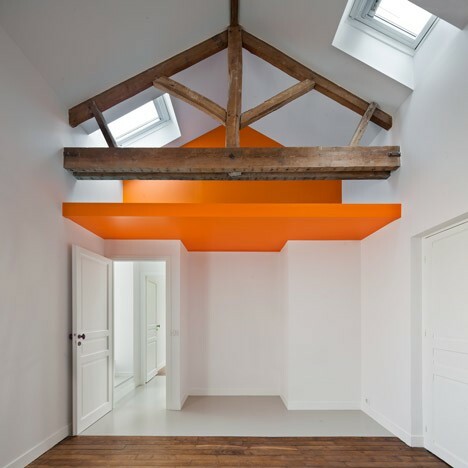 Inspired by orange and white for your home renovation? Try using Martha Stewart Paint # MSL082 called Pencil and pair it with Benjamin Moore - I-02 Super White -This hue is my favorite non-color as it plays up architecture. Bright orange makes me feel happy and warm! It brightens any room with just the right pop!